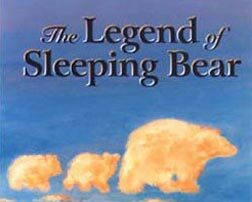 Ten years ago, author Kathy-jo Wargin and illustrator Gijsbert van Frankenhuyzen teamed up to record the beloved Northern Michigan tale, The Legend of the Sleeping Bear, in a children’s book of the same name published by Sleeping Bear Press. Since then, the book has sold over 200,000 copies. In 1998 the Michigan legislature declared it the official children’s book of the state of Michigan. In celebration of the book’s 10th anniversary, Sleeping Bear Press has released a special limited-edition of the book that includes an animated DVD narrated by Michigan-raised actor Jeff Daniels. For more information: 800-487-2323.